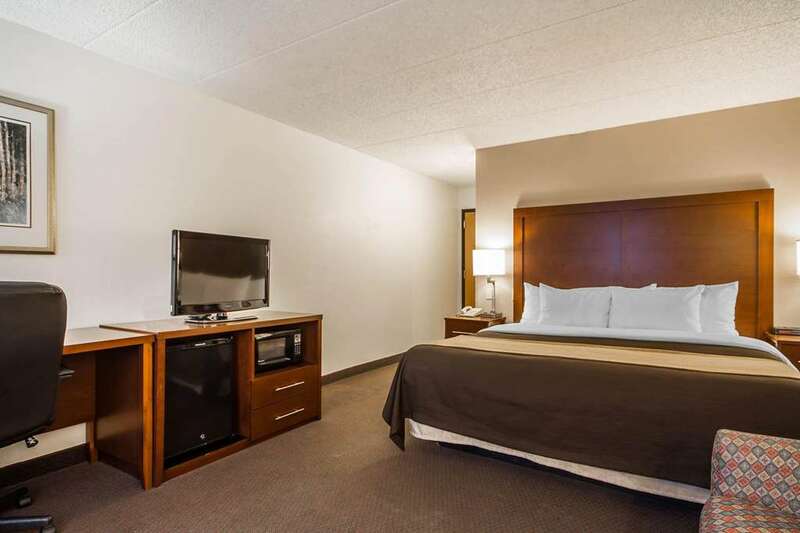 Just minutes from the Dane County Regional Airport is the Comfort Inn and Suites Madison - Airport hotel in Madison, WI. You will be rested and ready for anything, thanks to our free airport shuttle service. Free WiFi and access to copy and fax services are among our amenities, as well as a free hot breakfast, indoor pool, exercise room and laundry facilities. We also offer meeting space for up to 100 guests. All guestrooms include microwaves, refrigerators, flat-screen TVs, coffee makers, hair dryers, irons and ironing boards. Also, earn rewards including free nights and gift cards with our Choice Privileges Rewards program.